The A List: Glee Giveaway! And the WINNER of the GLEE giveaway is.... Alex K! 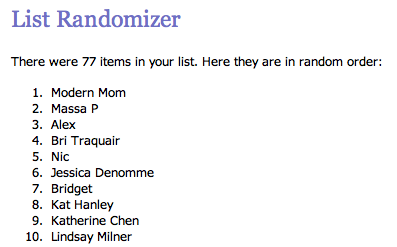 The original winner, @SassyModernMom, can't make it to the concert. Calling all Gleeks: Chevrolet Canada and The A List want to send you to Glee: Live on Stage in Toronto! More information is available on Chevrolet Canada's Facebook page. I'm a gleek and I want @aglicksman to send me to #GLEE in Toronto! The winner will receive two tickets to the June 11 concert at 3 p.m. at the Air Canada Centre. Contest closes on June 7 at 11:59 pm. You can enter once on Twitter and once on the blog. If you comment, don't forget to leave your email address so I can message you if you win! I'm a gleek and I want @aglicksman to send me to #GLEE in Toronto!! PICK ME!!!!!!!!!! I'm a gleek and I want @aglicksman to send me to #GLEE in Toronto! Thanks for the great contest! I'm a MAJOR gleek and I want @aglicksman to send me to #GLEE in toronto!!!! I forgot to leave my e-mail! It's Katherine.Chen23@gmail.com! 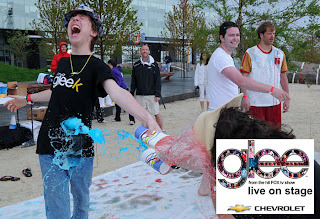 I'm a ridiculous gleek and I want @aglicksman to send me to #GLEE in Toronto! I'm a gleek and I want @aglicksman to send me to #GLEE in Toronto!! !